Canadians are increasingly putting it on plastic, but those in the recession-riddled oil patch are also increasingly having a hard time paying it off. Ninety-day credit card delinquencies soared by 23 per cent in Alberta in the fourth quarter of 2016, compared to a year earlier, credit bureau TransUnion said Wednesday. They were up 22.7 per cent in Saskatchewan. 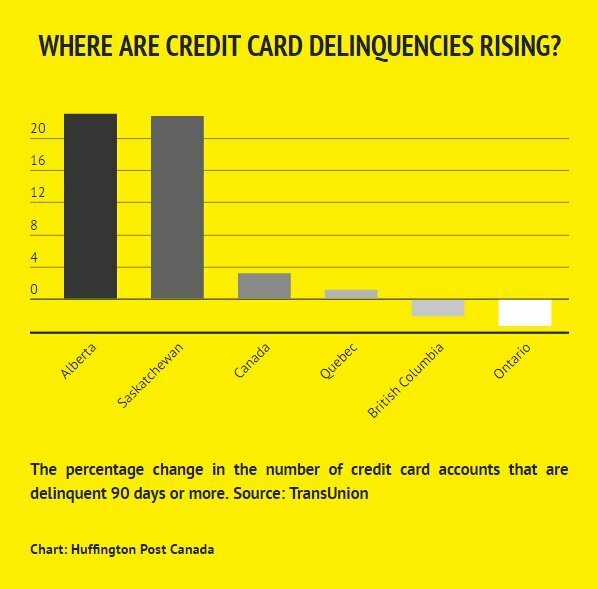 TransUnion had earlier warned that the job slump in some western provinces would result in double-digit increases in credit card delinquencies, “a risk that current data confirm has indeed been realized,” the company said in its report. A larger number of Canadians are using credit cards, and the total balance on those cards rose 3.3 per cent in the past year, to a total of $94.2 billion in the fourth quarter of 2016. But the number of credit cards in use in Canada actually declined by some 814,000 over the past year, to 43.4 million cards. TransUnion suggested this has to do with greater customer loyalty to their existing cards. “Some lenders appear to be increasing credit lines to their customers to capitalize on this loyalty effect,” TransUnion’s VP for product innovation and analytics, Chris Dias, said in a statement. 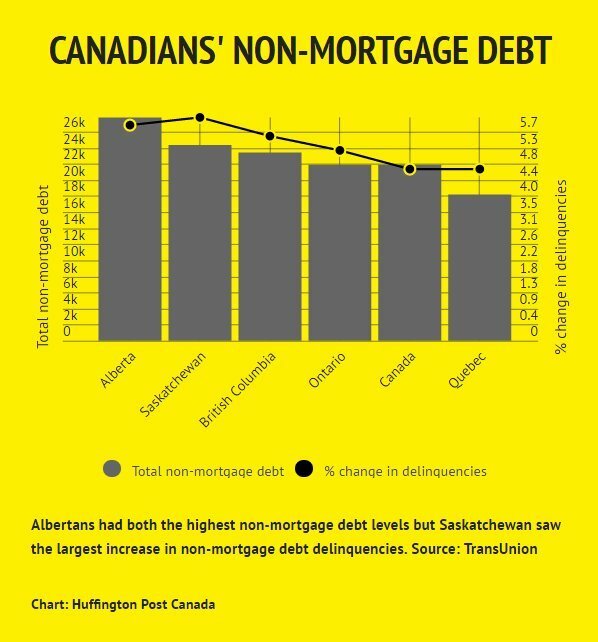 Overall, TransUnion described Canadians’ non-mortgage debt situation as “sound,” but noted there is a risk of interest rates rising. “However, this scenario has yet to deter the Canadian consumer, and we believe the far majority of them will be able to weather the impact of these increases,” TransUnion said.